Assange and his supporters say he is a journalist who deserves legal protections for publishing stolen material. But the indictment doesn’t really have to do with whether Assange is a journalist. He has a top-notch legal team, many devoted supporters and the legal issues in the U.S. case are likely to be uniquely complex. Assuming he is eventually brought to the U.S., Assange would face charges in the Eastern District of Virginia, just outside Washington. The office has considerable experience in national security prosecutions involving accused terrorists and spies and other high-matters, like the case against former Trump campaign chairman Paul Manafort. Justice Department officials could easily supplement their single-count indictment with a new one with more serious charges. Manning was jailed last month after she refused to testify before a grand jury in Virginia, suggesting that prosecutors’ work related to Assange is not done. Ecuador’s president, Lenin Moreno, said he had secured a guarantee from the United Kingdom that Assange would not be extradited to a country where he could face a death penalty. That’s likely a reassurance to Assange’s supporters, but the charge he currently faces carries just a five-year maximum penalty. 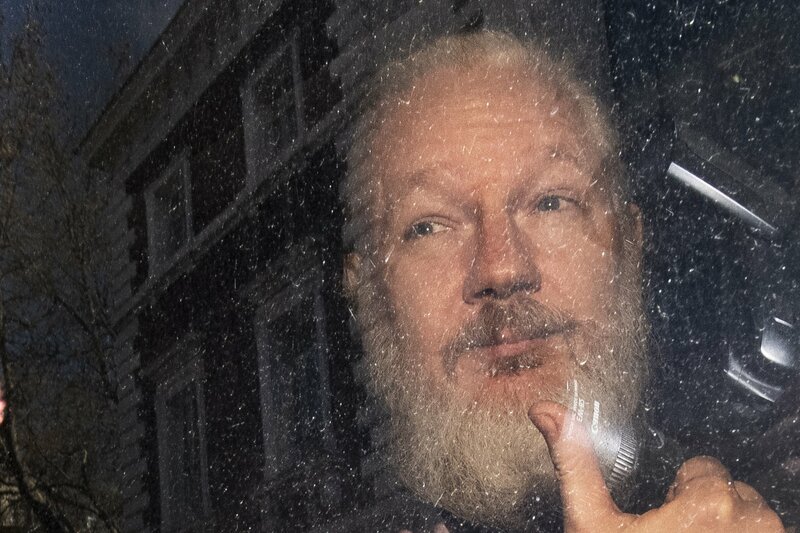 The Espionage Act can carry the death penalty for people who give or sell national defense information to foreign nations, but that charge was not brought against Assange in the current indictment. Though some of the language in the indictment, including the references to national defense information, mimic the Espionage Act, there’s no allegation that Assange disclosed American secrets to a foreign power with the goal of harming the U.S.
That could suggest that Mueller didn’t see a criminal case to be made against Assange or deferred to the Justice Department’s investigation into him.